BP Turbo Oil 2380 is a 5 cSt synthetic lubricant that is approved against US military specification MIL-PRF-23699F STD, and UK military specification DEF STAN 91-101/2 (replaced DERD 2499). This lubricant provides a balanced combination of thermal and oxidation stability, load carrying capacity, lower volatility and has the best low temperature flow characteristics of all 5 cSt turbine oils. 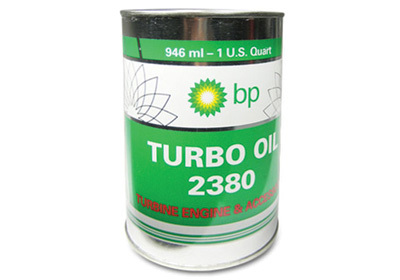 Load Carrying Capacity: BP Turbo Oil 2380 is among the best of its class and provides excellent protection to bearings, gears, and other highly loaded lubricated surfaces. 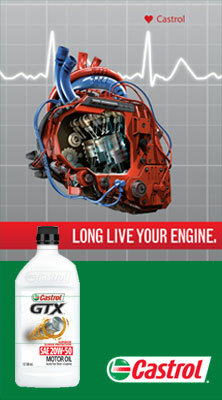 Viscosity: BP Turbo Oil 2380 has the best low temperature viscosity properties among all 5 cSt oils. Seal Material Compatibility: Very benign to commonly used seal materials in gas turbines.